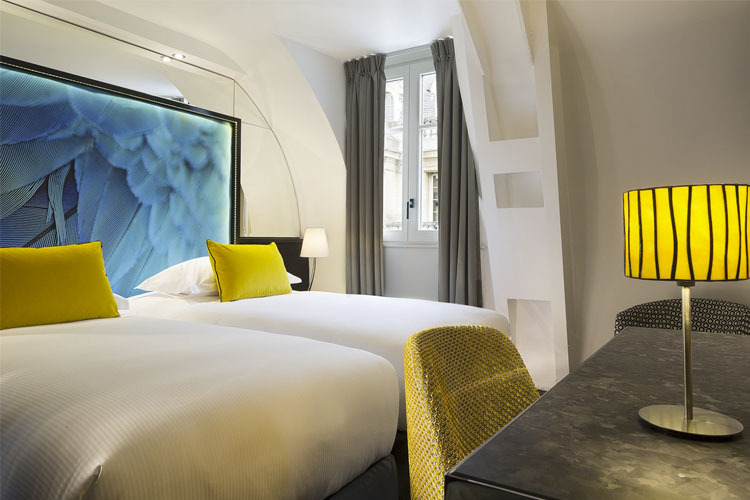 16 Rue de Sèze, Madeleine, 75009, Paris, Paris, Ile de France, FRANCE. 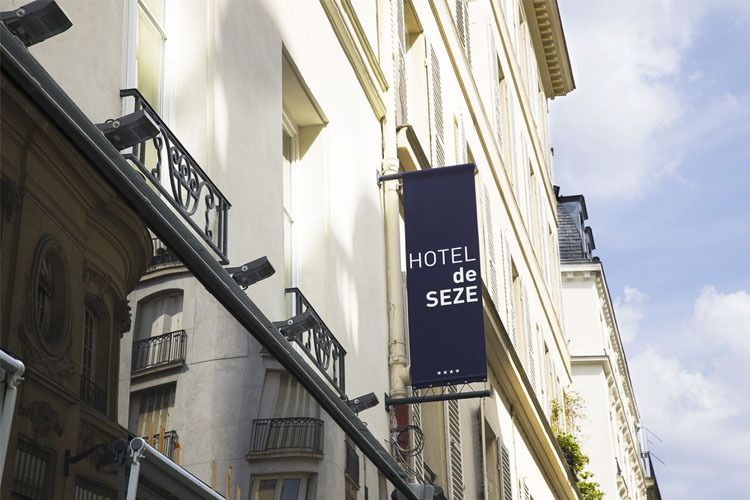 Enjoying a highly central situation in the buzzing Madeleine district, Hotel de Seze is a small boutique hotel, offering luxury bed and breakfast accommodation and top-class service in a perfect central location. 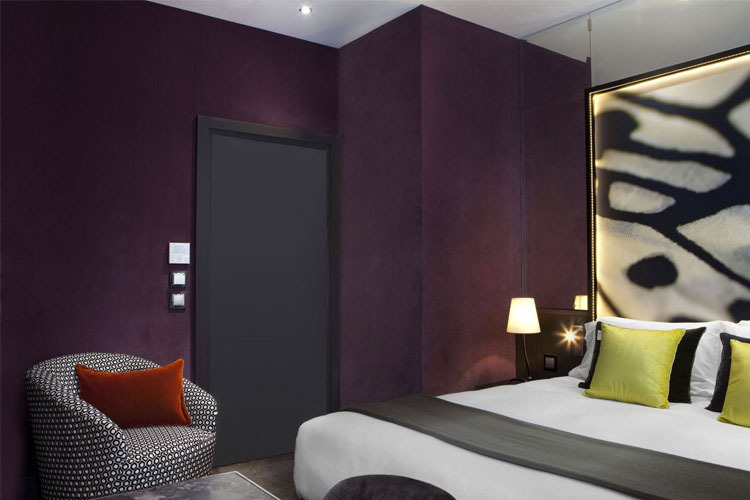 Recently having undergone a thorough restoration, Hotel de Seze has been decorated in a chic, informal style, featuring the highest quality materials and startling colour and texture combinations. 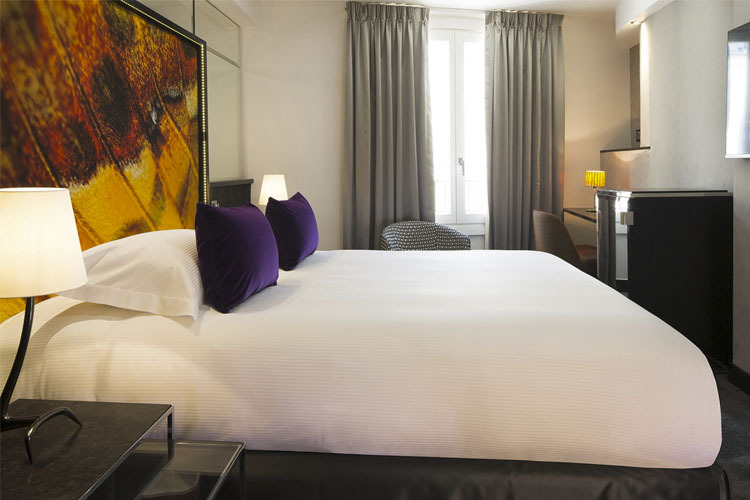 Ideally placed for both business or pleasure in Paris, Hotel de Seze is surrounded by countless historic sights, museums, top-class shopping and centres of administration. These include the Champs-Élysées, Eiffel Tower, the Louvre, Notre-Dame, the Seine, the Arc de Triomphe, Grand Palais and many more. 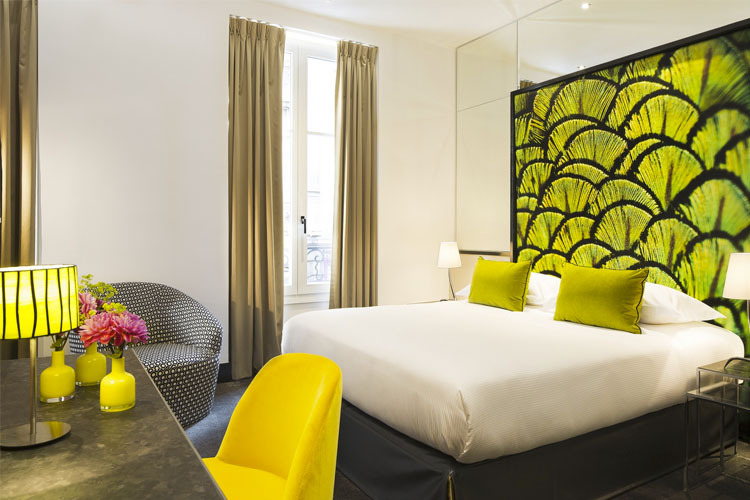 The hotel is just a few steps from the Madeleine metro station, while the Gare Saint-Lazare, one of the busiest stations in the city, is also a short distance away. 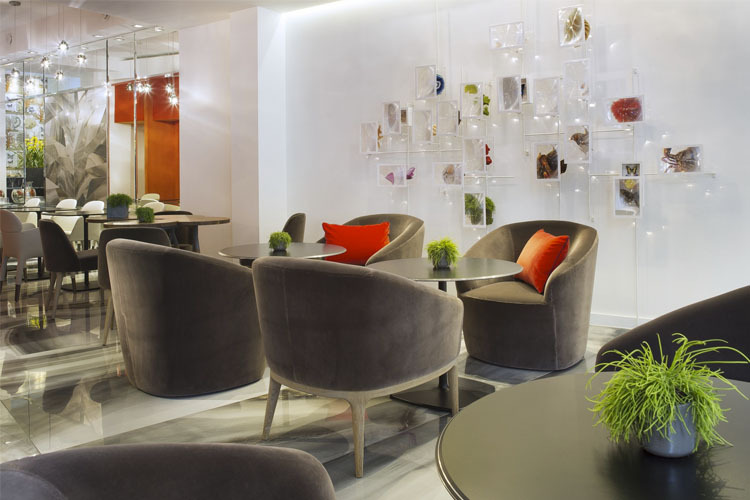 Gourmets and foodies will also find numerous fine restaurants, bistros, brasseries and cafés in the streets around the hotel. 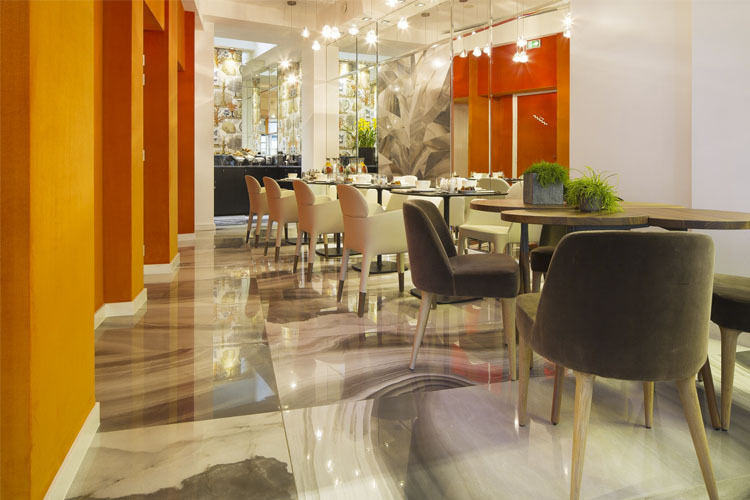 A full continental-style breakfast is served buffet style or in guests' rooms every morning, and special needs, including gluten and lactose free diets, can be catered for on request. 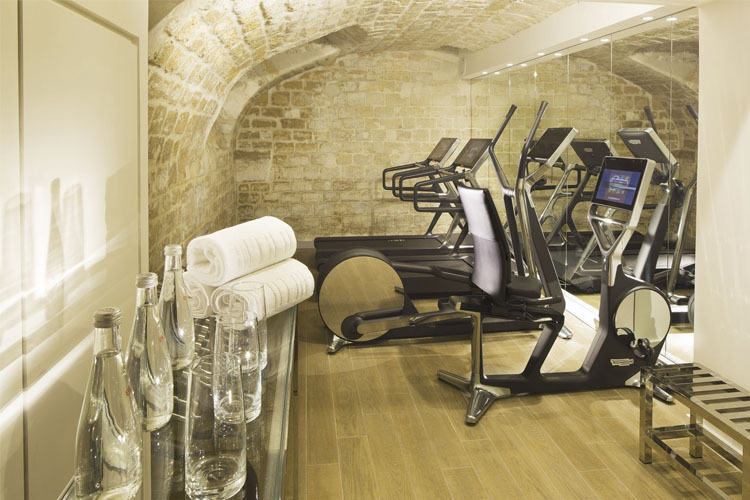 There is also a cosy lounge area with an honesty bar, and guests can also take advantage of the Hammam and a fully equipped fitness room. 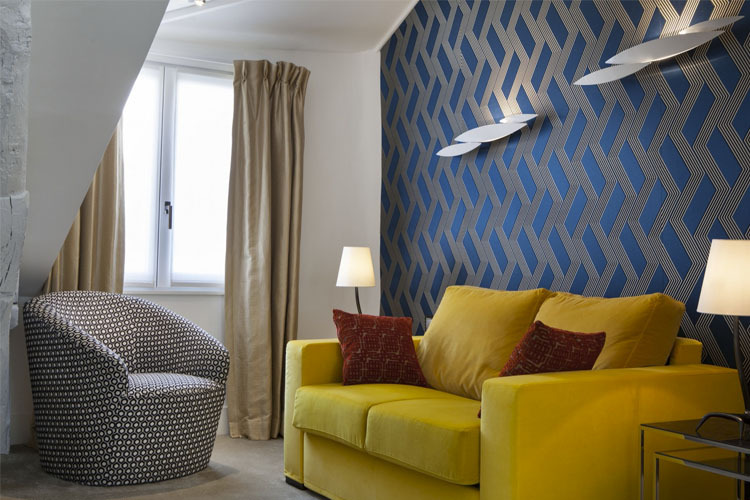 These rooms offer an area between 16 and 18 sq m with a charming and cosy ambiance. 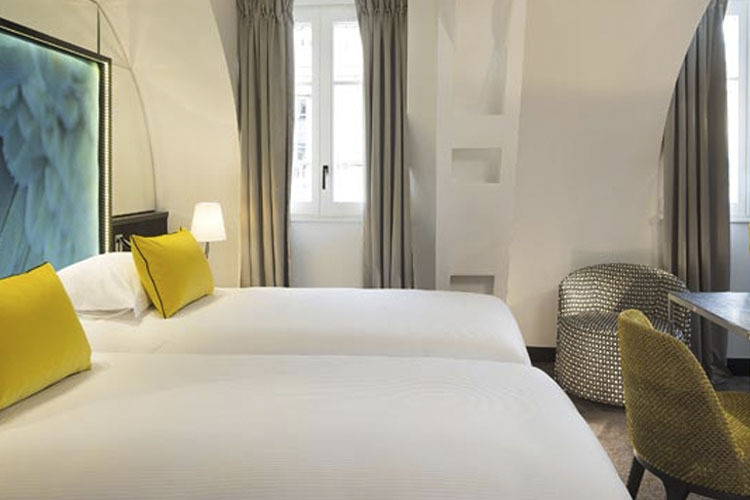 A unique and contemporary décor for a relaxing atmosphere, chic and refined furniture and the perfect lighting for unwinding or working: these rooms are beautifully devoted to exclusive luxury. 47" LED TV. 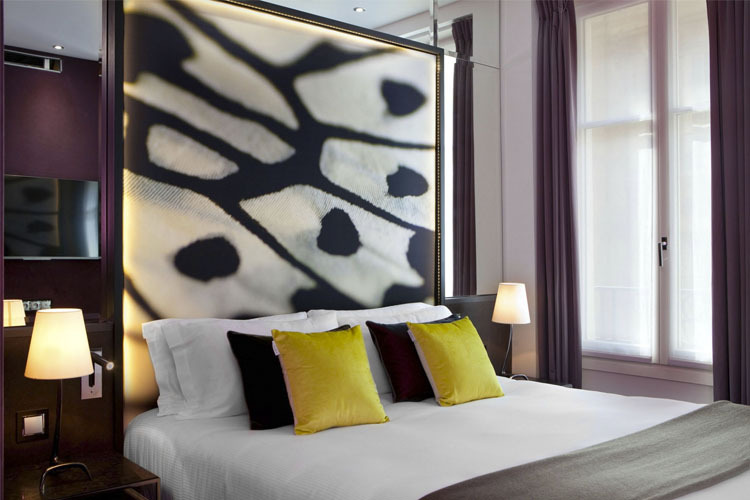 One queen-size bed (160 x 200 cm) or two twin beds (80 x 200 cm). 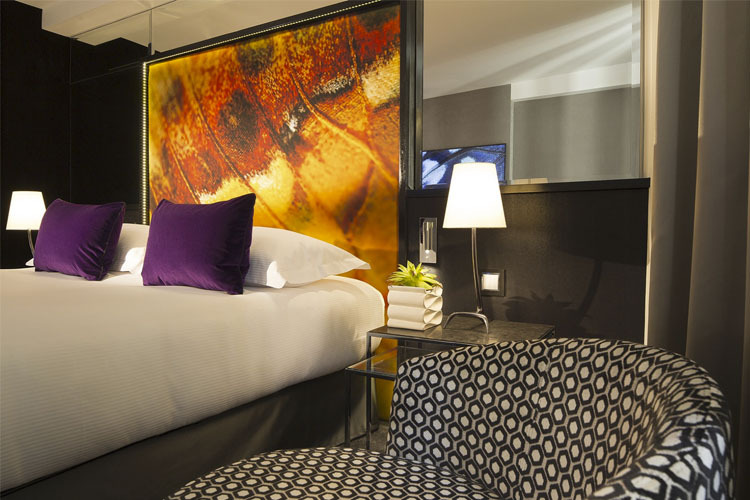 With a remarkably refined décor, Deluxe rooms have a very peaceful atmosphere that is elegantly twisted by modern design. With a desk ideal for working - or not - a laptop computer and a walk-in closet large enough to handle all those shopping sprees, these rooms are sized between 19 and 23 sq m and provide a very comfortable setting to relax. 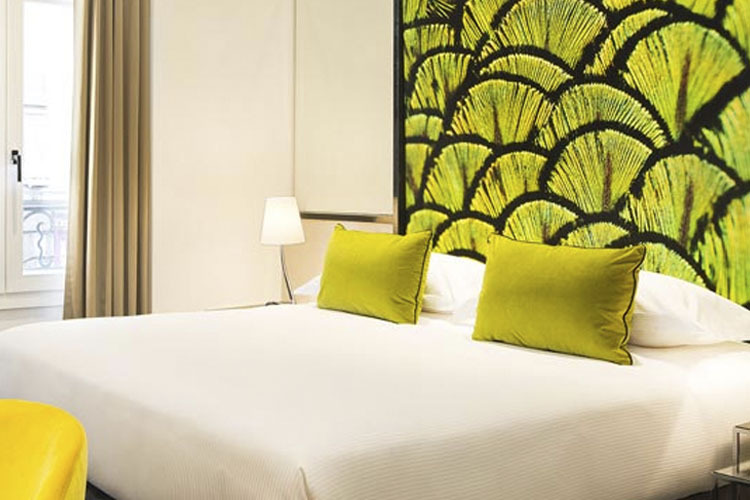 One queen-size bed (160x200 cm) or two twin beds (80 x 200 cm). 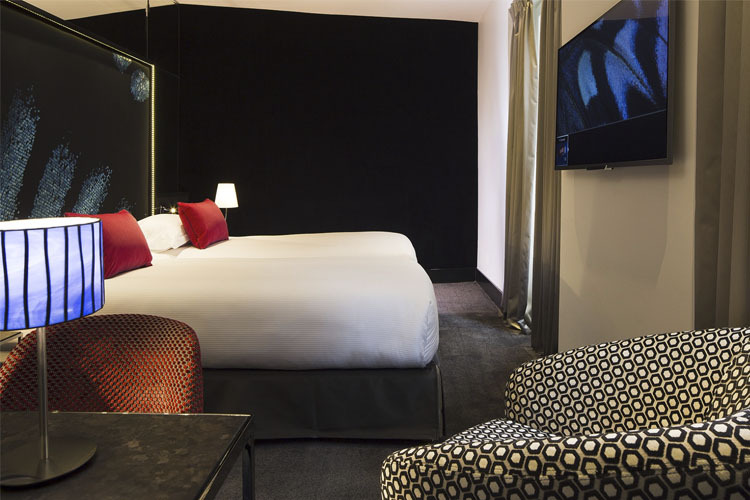 A view of the rooftops of Paris, a peaceful atmosphere and a spacious setting: the Executive room makes guests feel at ease at every moment of their stay. 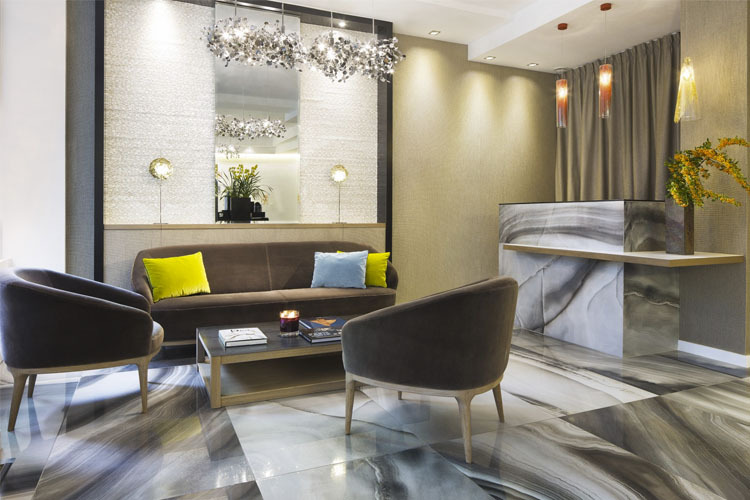 Beautiful ochre damask fabrics combined with bright pearly white tones: the furniture's chic and contemporary design is surrounded by a discreet and sophisticated air. 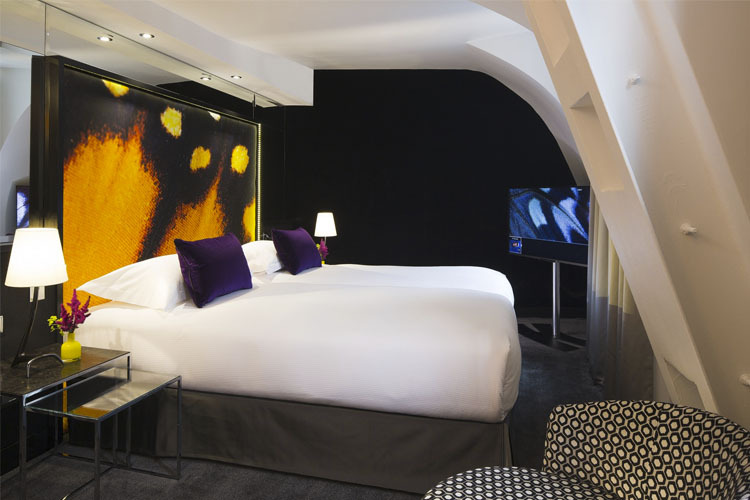 And for 100% enjoyment, guests can slip into the jacuzzi and relax to the rhythm and whirls of Paris. 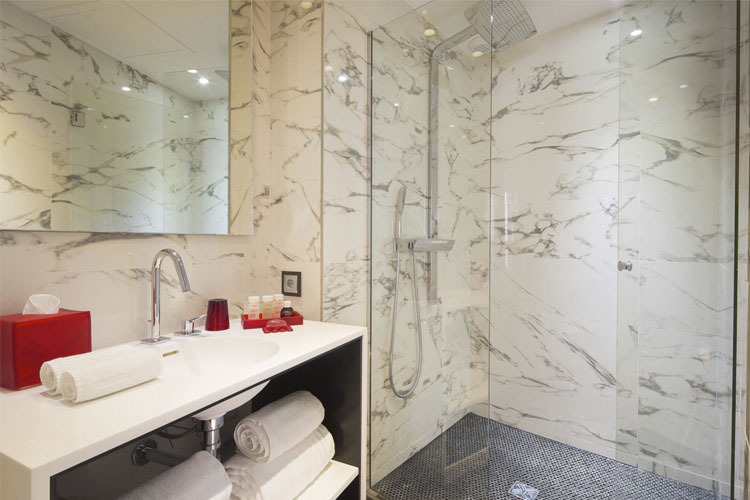 These rooms also come with a 55" LED TV as well as a wall-mounted 22" flat screen TV in the bathroom. 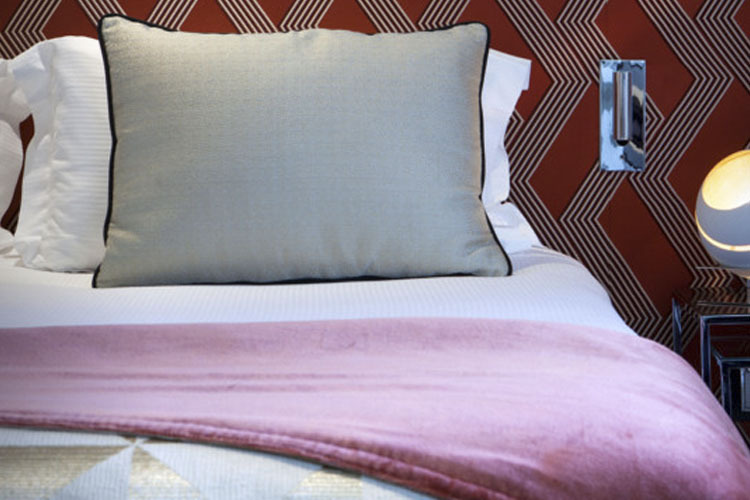 One queen-size bed (180 x 200 cm). 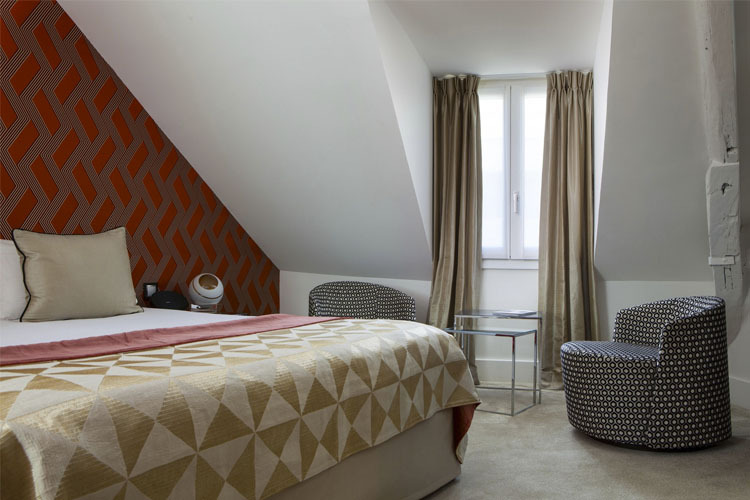 Room size 26 sq m.
The Junior suite provides a very spacious area - 30 sq m, accommodating up to three guests - and an exceptional view of the top of the Eiffel Tower and Sacré-Coeur on Montmartre. 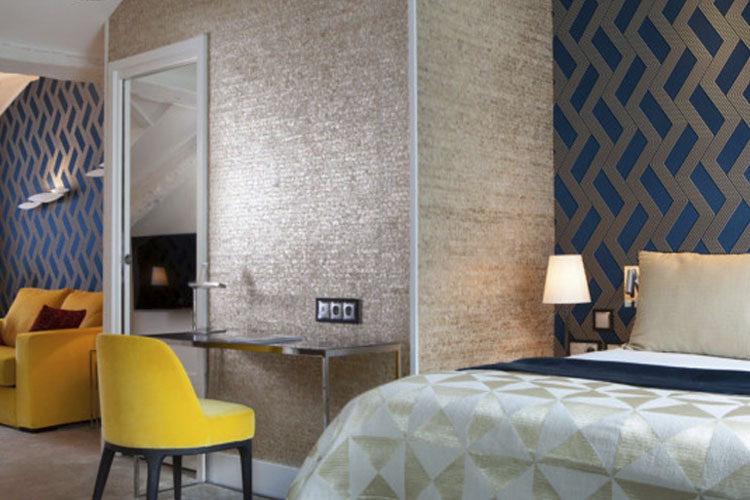 Paris-lovers will truly fall in love with its bright ochre and shagreen décor. 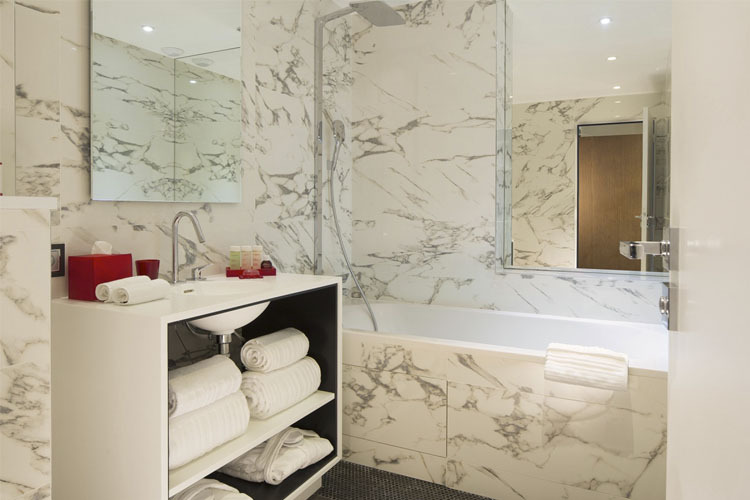 The room's smooth elegance also extends to the bathroom, equipped with a jacuzzi, where guests can even watch their favourite movie while relaxing in bubbles. 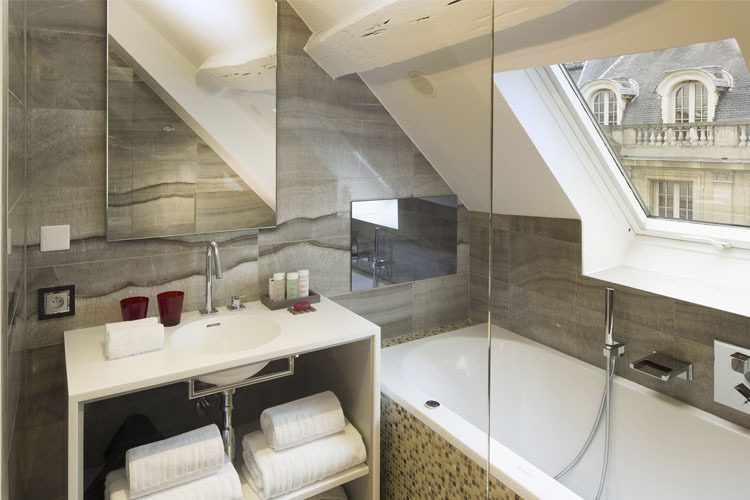 The Junior Suites are equipped with two 47" LED TVs as well as a wall-mounted 22" flat screen TV in the bathroom. 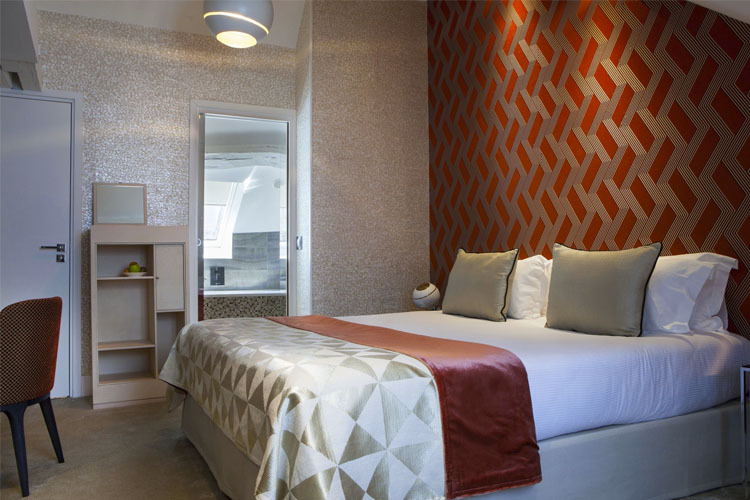 These rooms come with a queen size bed (180x200 cm) and a sofa-bed in the living room area. All rooms and suites feature: blackout curtains and high quality bedding; private bathroom with a bathtub and/or walk-in shower with rain shower head; bathrobes and slippers; complimentary Clarins toiletries; Free Wi-Fi; large LED TV with integrated concierge services and free à la carte movies; mini-bar, Nespresso machine and tea kettle; air-conditioning, safe and desk; Bluetooth docking station; all rooms are non-smoking. Public parking is available at a nearby location. Hourly/daily rates apply. Airport transfer services are available by arrangement. Charges apply. Languages spoken: French, English, Dutch, German, Spanish. Restaurant closed: Breakfast is served from 07:00am. to 11:00am. 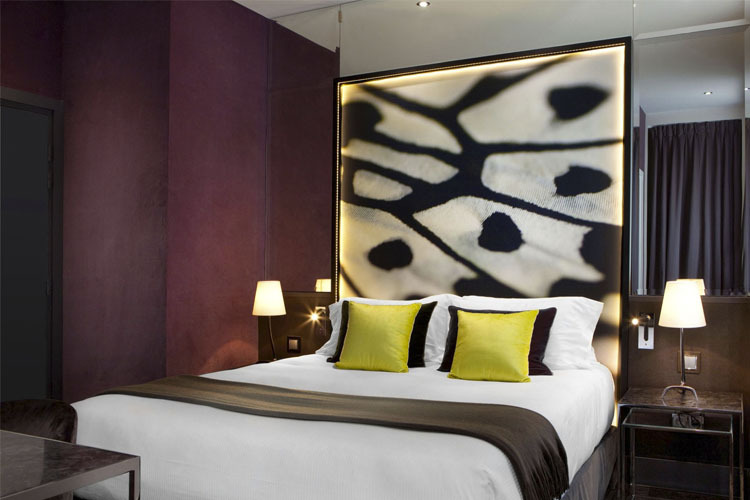 Nearest airport: Paris Orly Airport - 18,3 km. Golf - 12,4 km: As Golf de Rosny Sous Bois.